Editor's note: You should always consult an electrician before building, installing, and using DIY electrical projects. I brew electric but my setup is quite simple. I have 2 of these elements installed in my boil kettle (also doubles as my HLT). This is a good project if you want to start converting over to electric but do not want to get into elaborate panels. The only caveat is if you are using more than 1 of these, make sure you plug them into separate circuits. Otherwise, the current draw will be too great and you will pop a breaker. For my setup, I installed 2 dedicated 120v / 20A GFCI switched outlets in my brew area. 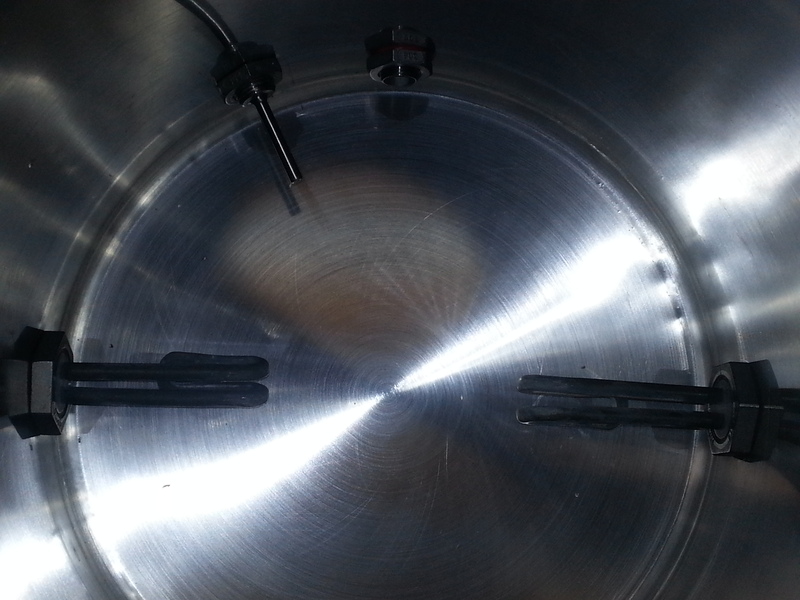 You will find many electric setups use much stronger heating elements and have some type of system in place to dial back the current once you achieve a boil. The reason for this design is for a few reasons. There is a greater liklihood that you have 120v outlets available as opposed to 240v. You can regulate the current simply by turning elements on or off (as mentioned above, mine connect to individual switched outlets). If an element fails in the middle of your brew day, you can still struggle along with one less. It's not preferable, but it beats having to dump. You can take this project and install it into pretty much anything you can drill a hole in (kettle, mash tun, whatever). One point that I will stress is if you decide to not use the exact model heating element listed here, make sure you choose a ULWD (Ultra Low Watt Density) element so that you do not scorch your wort. Drill a 1" hole in the outlet cover. File any rough edges. 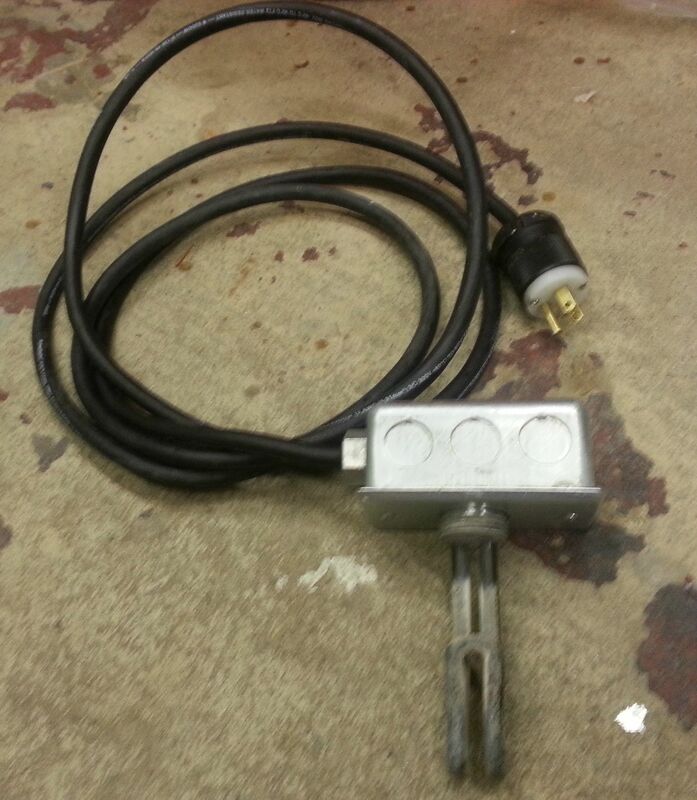 Insert the heating element so that the connections are on the inside of the outlet cover. JB Weld the heating element in place. Technically this step is not 100% necessary because once the element is installed, the nut will hold everything tight in place. However, I feel that by sealing it in with JB Weld, it makes the element easier to handle while installing and offers an additional layer of water-proofing. 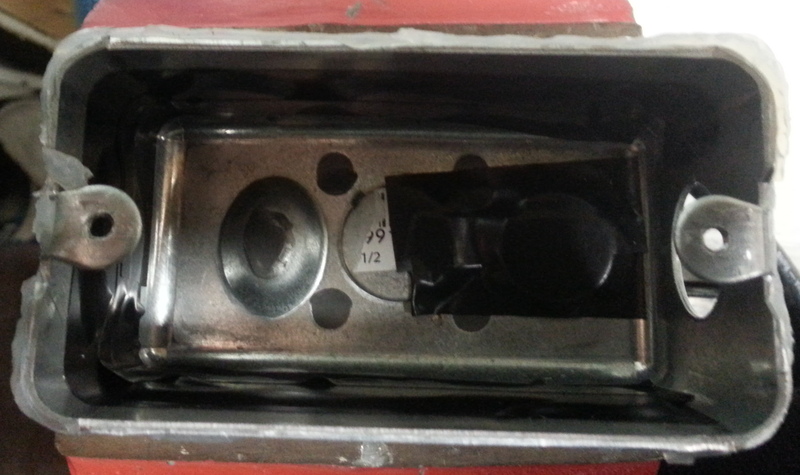 While the JB Weld is curing, prepare the outlet box. 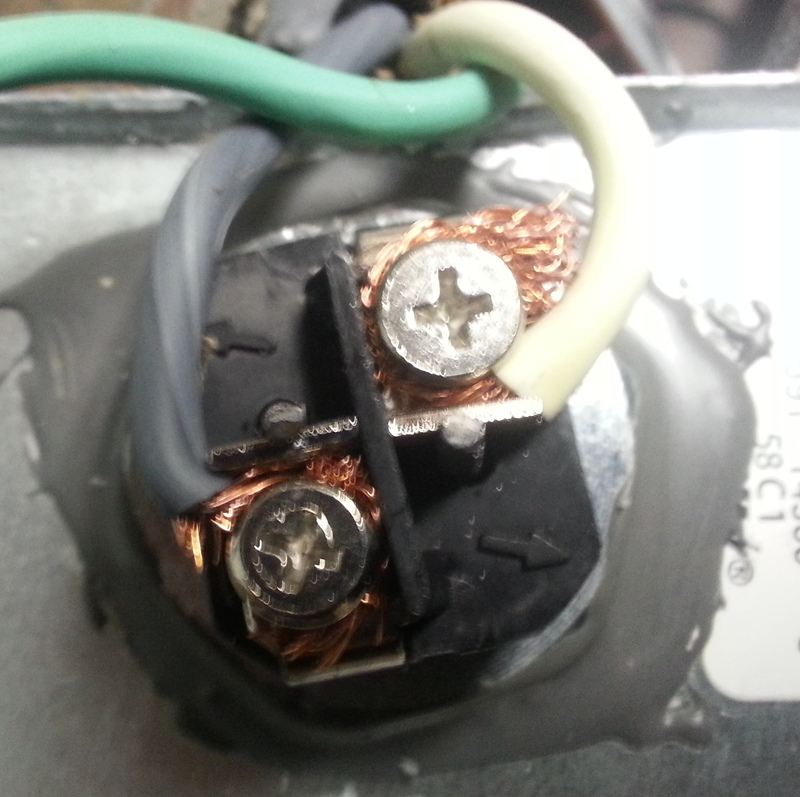 Remove one of the knockouts where you will feed the wire through. Waterproof the rest of the box. I wrapped the inside in electrical tape because the usused knockouts can have a little bit of a gap between them and the box. 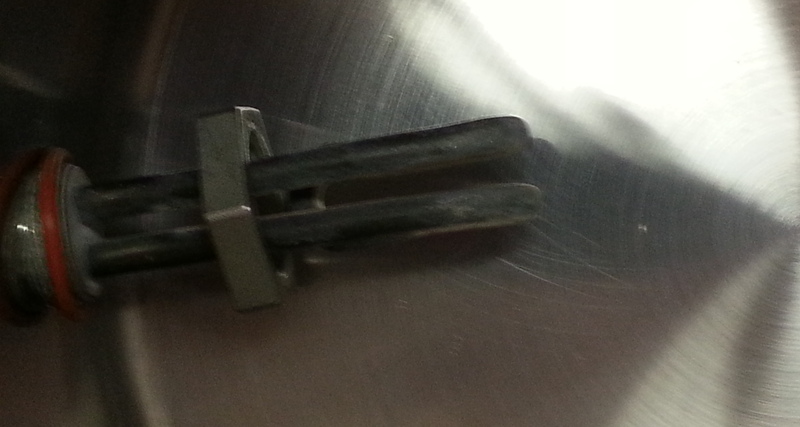 Also, you will see that I took some of the JB Weld I had mixed up and plugged the larger holes in the bottom. Alternatively, you could also seal these with silicone at the end of the project. Disassemble the cable connector and thread the nut and rubber seal as shown. If the rubber seal is extremely snug, you can apply a little oil or WD-40 to lubricate the wire. Insert the male end of the connector into your knockout from the inside of the box. Feed the wire through (make sure you leave enough slack to work with). 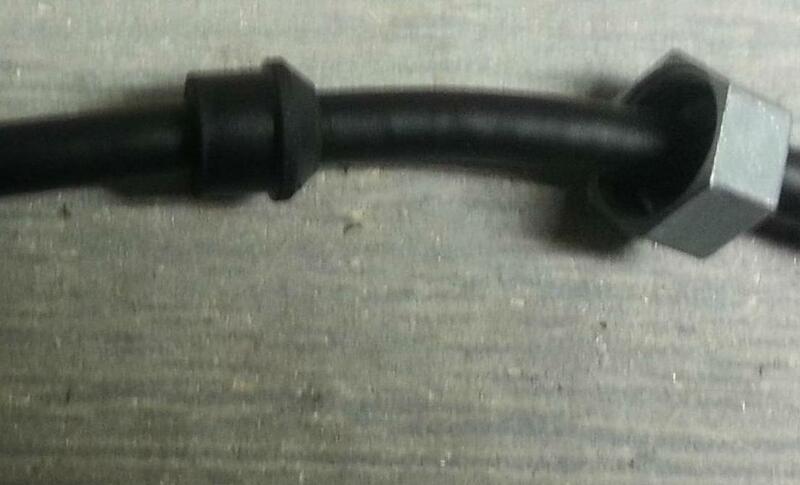 The rubber seal will fit inside the male end of the connector. Tighten the nut which will make the connection waterproof. 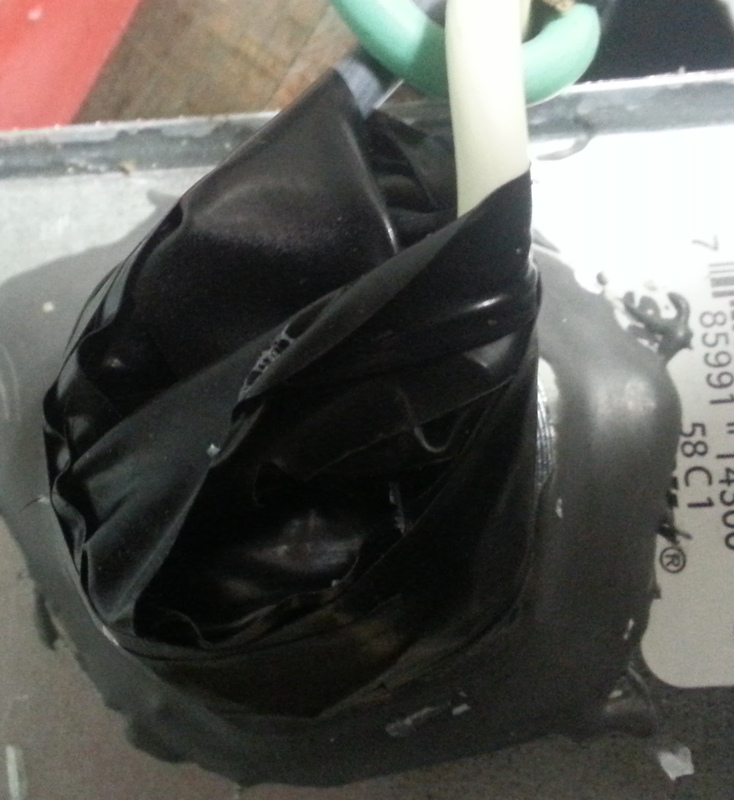 Connect the black wire to one terminal on the heating element and the white to the other. It does not matter which goes to which. There aren't designated hot and neutral sides on these elements. I prefer to wrap these connections in electric tape. It isn't strictly necessary, but is good practice for additional protection. When I do this, I wrap one terminal and then the other so that there is no possibility of a stray strand of wire arcing to the other side. Attach the cover/heating element assembly to the box. 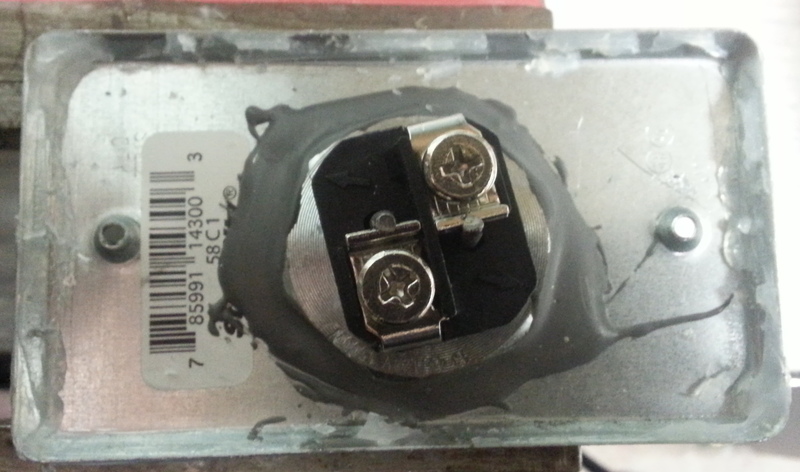 Make sure to wrap the ground wire around one of the screws that secures the lid to the box. This will ground the unit. Now that the element assembly is complete, strip the wires at the other end and attach to the plug. I already had this together when I took these pics, but it is really straightforward. The plug will tell you what is hot, neutral, and ground. Lastly, run a bead of silicone around the edge of the box where the lid meets it. This will be your final stage of waterproofing. If you skipped any of the waterproofing steps above, now is the time to make sure everything is sealed up. Here is an exploded look of how the element will look when installing inside of a kettle. Drill a hole in the side of the kettle using the same method you did to make the hole in the outlet box cover above. Feed the element assembly through the hole from the outside. Slide a silicone O-ring over the element. Slide 1" NPT locknut over the element. This can be snug, but it fits. You may just have to wiggle the nut a little bit. Drink your mistakes! It's the only sure way to drive the lesson home. Good write up. 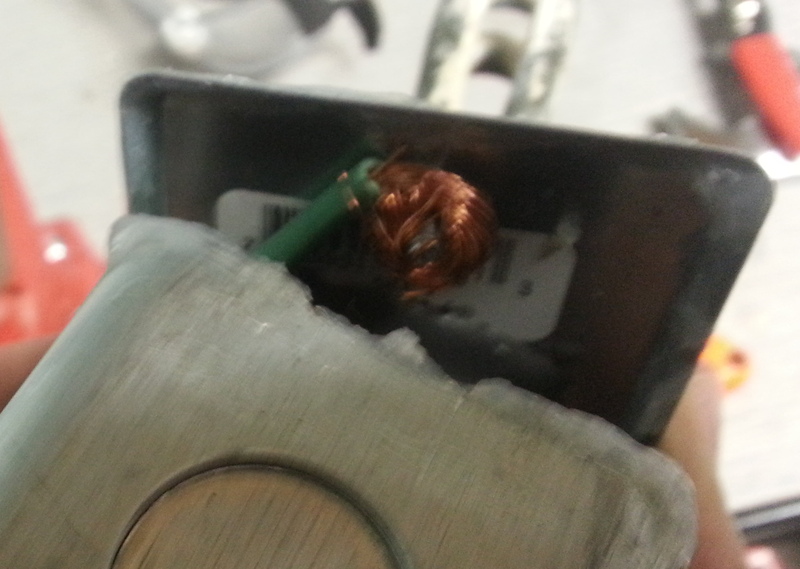 I would suggest using ring crimps on the ends of the wire instead of just wrapping the wires around the screw. Less chance of a wire or wire strand coming loose and causing problems. Good point. Thanks for the read and the input. Do you think I old computer cord would work just cut off the end? I don't think it would be a big enough gauge and the wire might get too hot. Plus I prefer the SJOOW cords since they are rated for outdoors which means they are a bit more durable. If you decide to go with a more cost-effective wire, I would at the very minimum recommend that it be 12 guage. By the way, at my local Lowe's store (where I bought the wire) it's only $1.18 per foot. It's pretty reasonable for what you are getting. You also don't have to get 10'. It was just a suggested happy medium. You could go longer or shorter to fit your needs. Seems like a relatively easy and straightforward project. I'd love to go electric. I do have one question though. Do you have any sort of temperature controller installed? You said that you use it as your HLT as well as your boil kettle. Do you just turn on the elements and when the water get to mash temperature you turn them off or is there some sort of way to set them to "medium" heat as opposed to just off/on? Hey, BroomVikin. Sorry I didn't respond right away. I haven't checked in in a while. I installed 2 dedicated switched outlets in my brew area so I plug each element into its own outlet and use the switches to turn them on or off. I have found that with the individual current going through each one there really isn't a need to dial back the current like you would need to do on a 4500w or 5500w element. Both elements on full power creates a nice steady rolling boil without being too crazy.